I mean actual breakfast time, not the Frank “Powder Nose and hosiery” Bough and Francis “for the watching” Wilson TV programme. One of the great British holiday traditions, after a night sampling and abusing the local gargle is the tackling of a right good, hearty, cardiac unit unfriendly breakfast. Unfortunately this is one tradition that, unless you visit one of the soulless “Irish” bars, you’ll have to forego on a visit here. 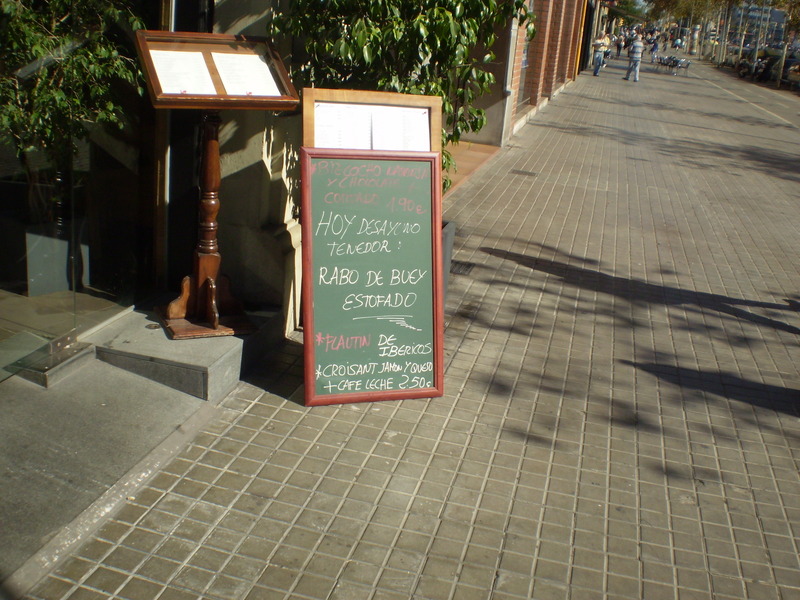 The simple fact is that in Barcelona the majority of cafes idea of a breakfast is a coffee and a croissant or doughnut. That’s not entirely true another option is the Churro, these are freshly deep-fried strips of doughnut dough, served with a cup of melted chocolate for the dippin’. There is clearly an attraction to me, as a Scotcher, simply on basis of the adjective “deep-fried” but in truth it’s just too sweet. To properly square you up after a night on the batter you need eggs, a potato product and various fried pig and cow products, and most importantly of all, NO baked beans. (People who know me will confirm I have a mild obsession on this subject, I’ll clarify my position on this issue in a footnote) The up side to the coffee and croissant breakfast is that it steers you in the direction of a good tightener for lunch. This can and does work in your favour, it pushes you in the direction of a big lunch and, as I have said on many, many occasions before, the menu del dia deal is perfect, both in terms of filling your belly while, at the same time, not emptying your wallet. To hark back to my previous post taking a “local” breakfast is another example of taking the city at a leisurely pace and a couple of hours spent on lunch is just what your doctor would order. In the interests of accuracy and full disclosure I have to clarify my position on the humble baked bean. 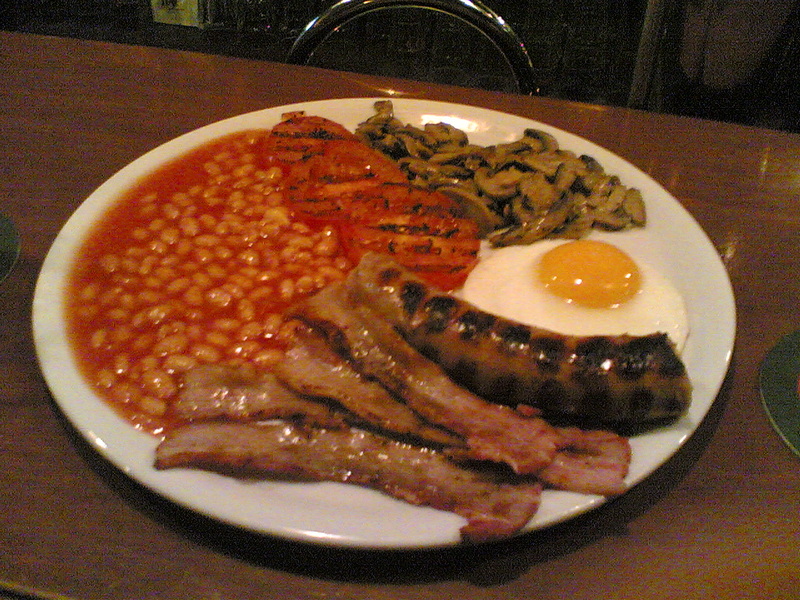 The inclusion of the bean on a traditional fried breakfast is, in my view, a device used by the parsimonious, to fill the plate with a cheap product to remove the need to put more of the good, meat based gear, on your plate. Donde es the other egg? Where are the sausages, black pudding et al? People have ventured the view that they are required to provide liquid content but to this I say “tish and pish”. The yolks of two properly fried eggs, a nice film of grease and HP sauce provide all the fluid a man will ever need. This stance has led people to accuse me of bean fascism yet nothing could be further from the truth. Toast was born for to be teamed with the bean as was the Scotch Pie. 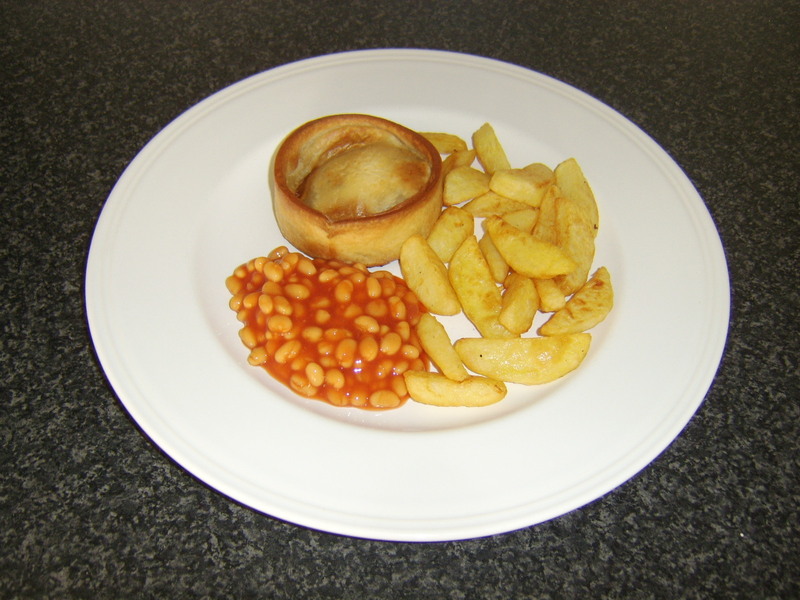 Scotch pie, chips and beans is the food of the fat, red-faced gods and a plate of chips, fish fingers and beans is also from the “Ambrosia” section of the celestial menu. I completely agree with you on the beans issue (although I’m from the US and so have no legitimate standing on the issue). Love beans and toast. Horrified by the thought of beans on the plate with eggs. Ew.